LotNetwork is a powerful way to make your marketing campaigns more effective. 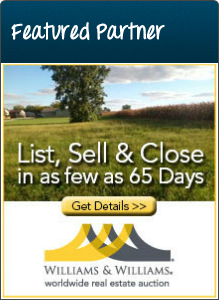 LotNetwork.com is the nation's premier web site for residential lots and land. A focused market niche means the web site has a highly targeted audience of users, including lot/land buyers and sellers, new home buyers, homebuilders, real estate developers, investors, agents/brokers and the real estate professionals that work with them. Advertising your real estate events/auctions, new home communities, high-profile properties, products and services on LotNetwork.com is a great way to target this very focused yet typically hard to reach audience of users. Focused and effective marketing results like this sound costly, but we think you'll find our pricing affordable and ideal for your advertising budget. Learn more about advertising on LotNetwork.com on this page, and contact us at advertise@lotnetwork.com for more details. To advertise special property sales/events or auctions, new home communities and other businesses or services to the users of LotNetwork.com, please email us at advertise@lotnetwork.com. LotNetwork.com has one of the industry's most targeted and focused user-audiences and affordable advertising campaign pricing options that help you be successful in your marketing efforts. Note that this page describes Banner Advertisment options on LotNetwork.com. 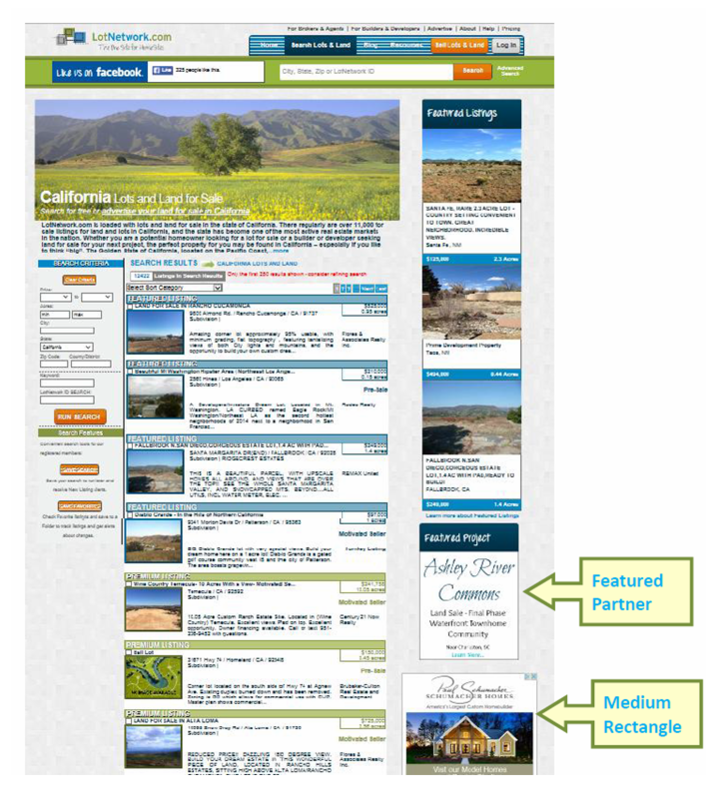 To advertise a property you wish to sell with a "property listing" (instead of a banner ad), simply purchase a Featured or Premium listing plan on the site, add your listing information and post your listings for land buyers to find. 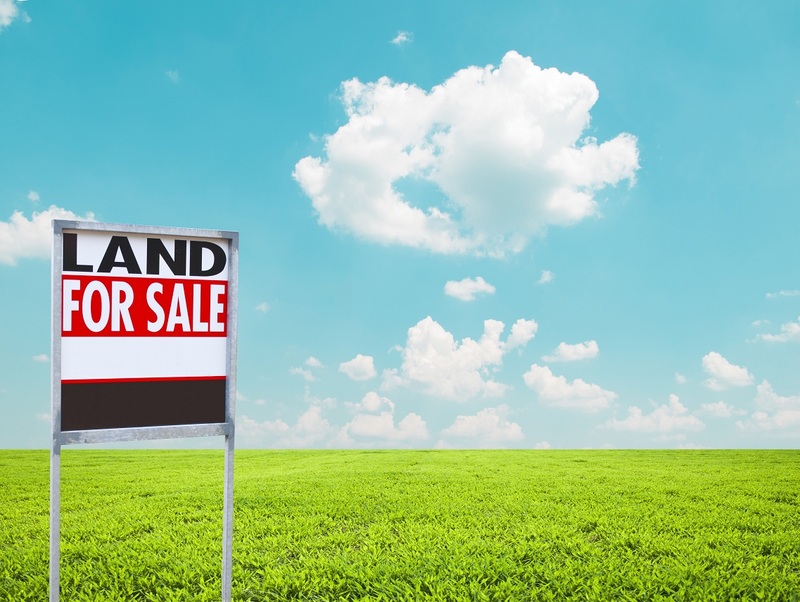 Featured and Premium Listings are searchable by property buyers in our nationwide database of lot and land listings and gain high visibility at the top of search results and through other promotions. Go to this page to compare LotNetwork.com’s listing plan options and pricing, and to sign up to sell your properties with Featured and Premium Listings: More about Listing Plans. With our sophisticated advertising platform you can target specific geographic locations, subject matter and other criteria on LotNetwork.com. Specialty subject matter pages include topics like financing and loans, building a home and house plans. We offer popular ad sizes that include wide skyscraper (160x600), medium rectangle (300x250) and leaderboard (728x90). Contact our LotNetwork.com Ad Team and request a Media Kit for more details about pricing, ad sizes, locations, types, discounted packages, etc. Plus, for your high profile business or property marketing efforts, we also offer a "Featured" advertisement option that receives prime placement and is wrapped in a customized border that enhances its visibility. You may brand yours as a "Featured Project", "Featured Auction", "Featured Community", Featured Product", "Featured International Property", etc. Look at the right column of most pages for examples. Our Advertisement Team will be happy to provide additional information and assist you with advertising options that meet your needs and budget. Call or email now!